On the boulder just right of sky blue n°30. 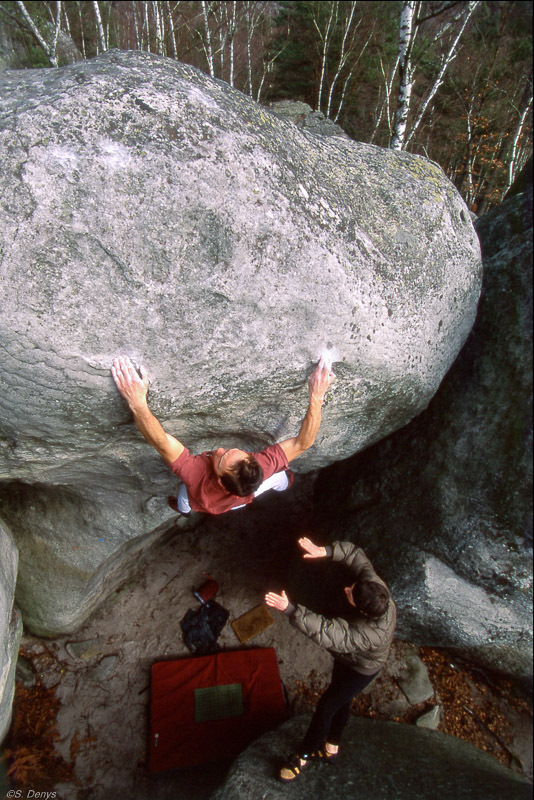 Standing start, climb the overhang with big moves on pinches and exit by a mantle at the top. 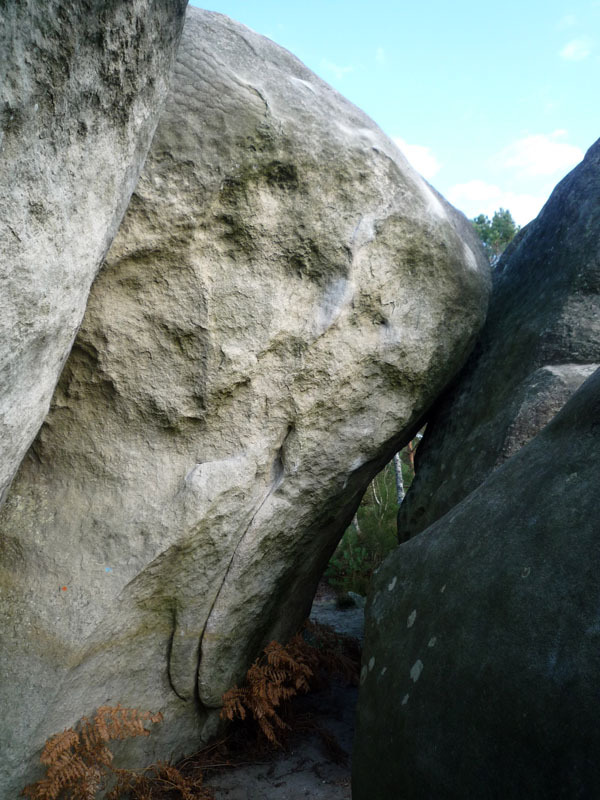 NB: this mythic boulder, opened by Marc le Ménestrel in 1996 with the grade of 8b, had been vandalized. The problem has finally be reopened on March 4th 2015 by Nalle Hukkataival.